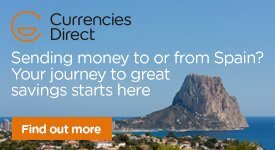 We get asked all the time "do we need an NIE number to purchase a property here in Spain?" The answer is yes you do. The main thing for you to know in simple terms, is anyone who is going to be named on the Escritura (Title Deeds) will need to get an NIE number. This can be easily done during the sale process and normally within the generic timescale of a general purchase. Your solicitor is the best person to do it for you as it makes like a lot easier for you. Yes you can do it yourself to save a few pennies, however unless you speak Spanish or take a translator with you, its not worth the hassle. Some solicitors will also include getting this for you within your conveyancing fees. UPDATE: MAY 2013: The process for the application of NIE numbers has been changed. An appointment now has to be made with the department for the application of this document, whether it be by an individual or a solicitor working on your behalf. So please build into your time schedule this new process, when applying for an NIE number. How to get an NIE (Número de Identificación de Extranjero, in Spanish) This is a foreigner's tax identification number required here in Spain. Any resident or non-resident foreigner with financial affairs in Spain, regardless of whether they are EU citizens or from a non EU country they must have an NIE number. Anyone with any financial, professional or social interests here in Spain will need this personal identification number. The NIE is necessary for any fiscal transactions in Spain where there is money paid to the Spanish inland revenue office. The NIE number should be quoted in all contact with Spanish tax authorities. The number appears on all documents that are issued in Spain. If you are opening a bank account. If you are buying, selling or insuring a property. If you are needing a mortgage. If you are going to be paid for employment. If you are going to apply for a business permit and start a business. If you are going to register with social services or arrange receipt of social security. If you need to apply for a driver's licence. Your application for an NIE can be made at a police station that has a foreigners' department (Oficina de Extranjeros in Spanish) they are located here in Almeria City or you can contact your local regional government; either in person or through a representative/translator. Most solicitors can help you get an NIE number the approximate cost is 150 € per person. You have to go with the solicitor to Almeria city, it takes approximately 3 hours and then your solicitor will collect them for you when they are ready, normally within 7-10 days currently in Costa Almería. You will need to complete an application form, in Spanish, this is called a Solicitud de Número de Identidad de Extranjero (NIE) y Certificados (form EX-15), it needs to be filled out and signed, your solicitor can help you with this. We always recommend that you do not sign the completed application form until you are in the presence of an official. You will need a receipt for payment of the fee, that is stamped by the bank. You will require an identity card or original passport and (a photocopy of each). 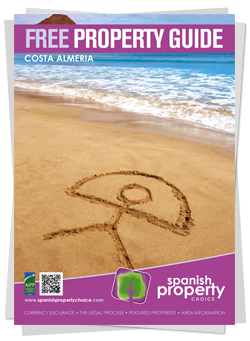 LET SPANISH PROPERTY CHOICE MAKE YOUR JOURNEY STRESS FREE. We will guide you all the way!